We’ve created three unique levels to get you ready for and progressing throughout the Inaugural City Houses Women’s Team Competition 2019! Whether you’re a beginner, intermediate or advanced player, your experience does not matter. What matters is your WILLINGNESS to THINK like a WINNER and your DESIRE to get on one of our unique levels. We’ll take care of the rest. It’s a dream-come-true for many of our female squash players, and your opportunity to do something for yourself, your family, and the community. We have prepared three unique levels to get you from where you are today to competition-ready. This means that wherever you are “squash-wise,” we can work with that as long as you are motivated to give the competition your very best shot. If you’re an advanced player, GREAT, but if not, and you feel that your technique is a bit off or you don’t even have a technique meaning your experience is minimal, you can still participate – as players of different skill levels will enter the competition. 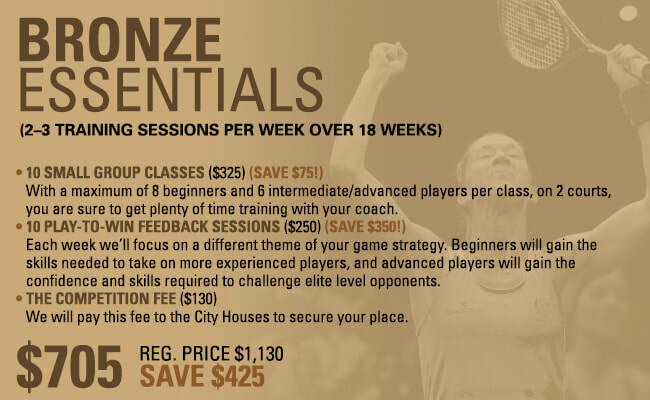 You won’t believe how much you can improve with some professional coaching and a clear goal! Having a clear and precise goal is essential for success. Here, we have a deadline (May 6), so we couldn’t be any clearer than that! Next, you need to start training. And this is why we designed our training sessions. 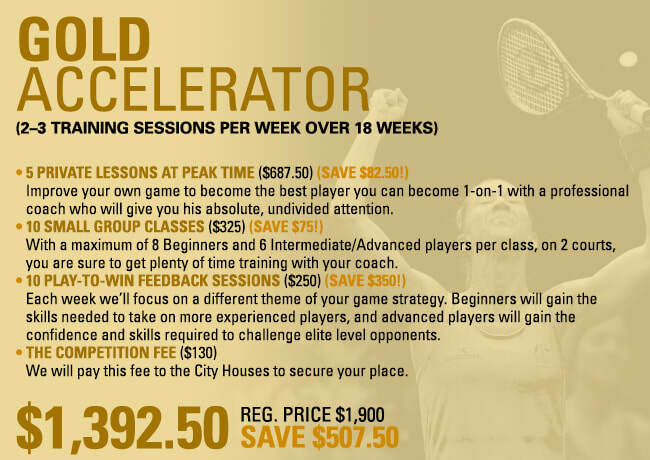 The sessions are offered to complement your competition matches so that you can get the most out of your gameplay and accelerate your improvement. Like we said, whether you’re an absolute beginner or a national champion, our unique levels will get you ready to compete at your best. So, get on the court! Our professional instructors will be with you every step of the way, helping you improve your technique and form. They will give you the attention, coaching, instructions, advice, and feedback ALL in real-time as you play. So, you will be able to make the fastest progress that you’re capable of producing. In summary, the bronze level will get you ready for the competition in May (no matter whether you’re a beginner or an advanced player). If you are really serious and want to make the most of this opportunity, then sign up to the gold level. If you would like to enter the competition with your girlfriends, then consider the silver level. Whatever you decide, you need to hurry. We are giving you three unique levels to get you competition ready for May. The big day is just around the corner, so you will need some self-belief to sign up. The goal is not for everyone, and that’s why only real winners will be competing on the day. With enough self-belief and the right support, you can achieve anything. We can give you WORLD-CLASS support. All you have to do is show up at our training sessions and STAY committed. Believe in yourself and let’s get down to work. Please remember, places are extremely limited, and the time is running out. Squash is a great sport to burn those calories, give you a total body workout, and tone your body from your feet to your head including your legs, hips, and arms! 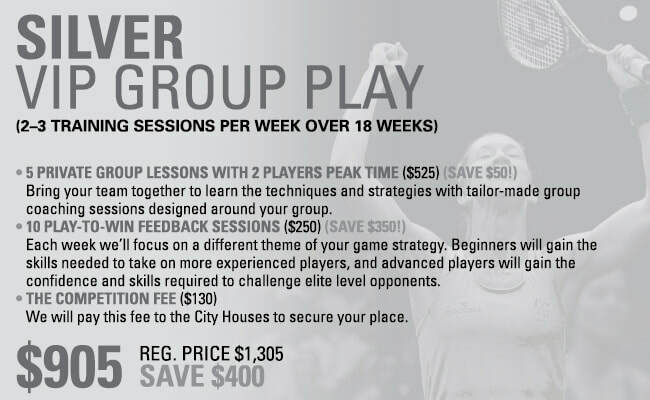 This competition is ladies-only, so you will face other female players, some of which could very realistically become the next squash champions. YOU could potentially be one of them. We have seen ordinary girls turn into superstars many times before. Get on the onboard and let’s get down to work! A word of warning! You might be tempted to enter the competition without preparation. While this is an option and you can sign up here , we don’t recommend it. As you know, in life you always get out what you put in, the competition won’t be any different. Get on one of our accelerated pathways to make the most of this opportunity. You get just one shot at it! Make it your best.